Powerhoop NZ | Fitness with a twist! I have created a business that will help you fulfill your needs of getting more clients and offering something to attract a much wider customer base to you. I know your classes will get busier. I can show you how you can make six figures in your Powerhoop Business because I give you all the tools and support to help you. You will attract many more customers of all ages, shapes and sizes to your business. You will get amazing results yourselves and your customers will be blown away by the results they get. You will learn how to bring in income through different channels all relating to Powerhooping. You will be able to make money whilst you sleep. You will realise you can make a huge difference in your community and help so many people improve their health and wellbeing. Not only will they try this out, but they will keep coming back for more. They will become addicted to this fun exercise which will deliver them incredible results. To see other videos which discuss aspects of being a Powerhoop Instructor, select “Instructors/Videos for Instructors” in the menu. difference it makes to the participants after they have been Powerhooping with us, not only the changesin their bodies but also how skilled they become. Powerhooping really is a fun exercise programme. “I trained with Amy recently to become a Powerhoop instructor. Her support and mentoring over the past six weeks has been absolutely amazing, above anything I have experienced in the fitness industry. If I have any questions at all Amy is more than happy to guide me in the right direction and always follows up with me. Her support on social media is incredible. She stays connected with me through my journey, comments on my posts and connects with my followers which they absolutely love! I never feel like I am alone or isolated, she connects me with people who are looking for classes in my area that have contacted her, and is truly dedicated to helping me create a thriving Powerhooping community in Orewa. 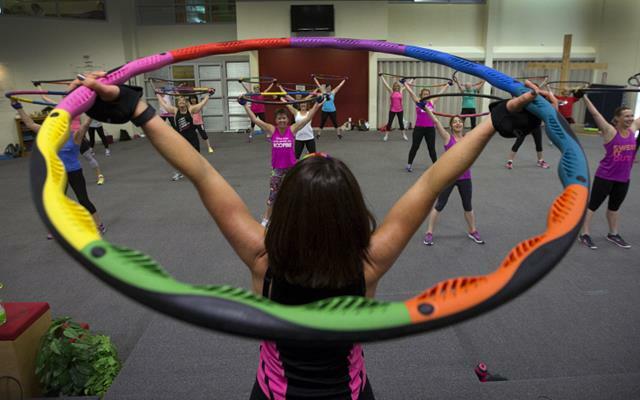 “The ongoing support you get from Amy and Powerhoop NZ is amazing.